Directions: To view the Notebook file choose: VIEW> Entire Page depending on your monitor’s resolution. It is recommended NOT to save the file once you have downloaded and extracted. This way the games do not have to be re-set. Morning Message Each day of the week for five days. Let the students fill in the missing letters to complete the morning message. 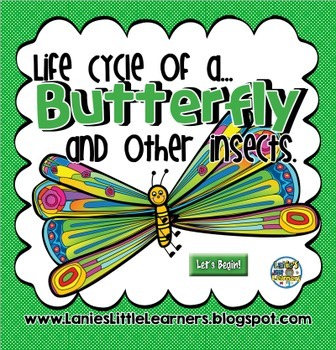 Also, each day has a question and answer session geared towards the life cycle of a butterfly. 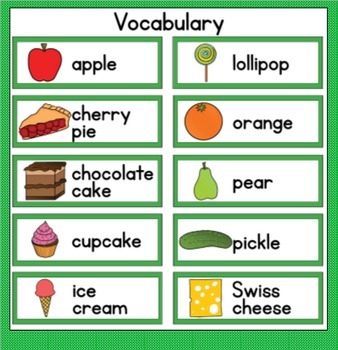 Vocabulary WordsThe Very Hungry Caterpillar, ~UG Word Family, and Number Words. Where is the caterpillar?Students identify the " and then click the object. The students are looking for the hidden caterpillar. Practice identifying numbers 1 to 22. Feed the CaterpillarStudents will identify and feed the caterpillar foods that it ate in the story. Sequence the EventsStudents sequence the life cycle of a butterfly. 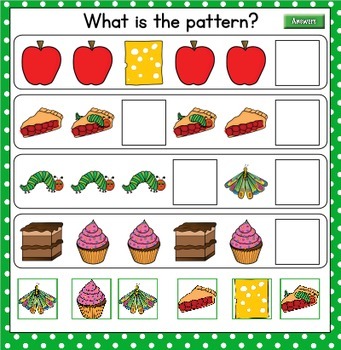 Students will also sequence the foods the caterpillar ate by the days of the week. 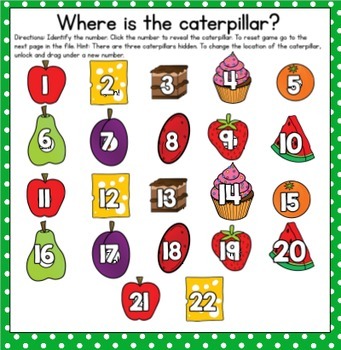 Where is the caterpillar?Students identify the letter and then click the object. The students are looking for the hidden caterpillar. Practice identifying the letters A to Z. Alive / Not Alive SortSelf-checking game that allows students to practice classifying objects by being alive and not alive. Animal / InsectSelf-checking game that allows students to practice classifying objects that are animals and insects. Hatch From an Egg SortSelf-checking game that allows students to practice classifying animals that hatch from eggs and do not hatch from eggs. Letter B SortSelf-checking game that allows students to practice classifying objects that begin or do not begin with the /b/ sound. Letter C SortSelf-checking game that allows students to practice classifying objects that begin or do not begin with the /k/ sound. Rhyming Word SortSelf-checking game that allows students to practice classifying objects that rhyme with the word bug. I Spy… The teacher says, “I spy something that begins with the /b/ sound? The students search through the pictures and find one that begins with the /b/ sound. Beginning Letter Sounds Write the matching beginning letter sound in the box next to the picture. How Many Syllables? Sort the pictures by 1, 2, 3, or 4 syllables. How Many Letters? Sort the pictures by the number of letters in each word. Build a Word Use the letter tiles to build the word. Build a word uses both ~UG word family words and number words one to ten. Which One Comes Next? Look at the pattern and finish the pattern. How Many? Count the number of things the hungry caterpillar ate and circle the correct number. How Many Bugs? Roll the die and count out the corresponding number of insects and put them on the leaf. Roll & Cover: Roll the die and count the dots.. Then use the caterpillar and cover the matching numeral.